Featuring Richard Heslop, Marc Karlin and Derek Jarman. This new exhibition draws together works from three strikingly independent filmmakers key to the radical trajectory of the post-1976 English underground movement. Connected by themes of left field personal politics, history and nationality, and marked by an intense visual sensibility, Richard Heslop, Marc Karlin and Derek Jarman developed work both technically original and aesthetically radical. 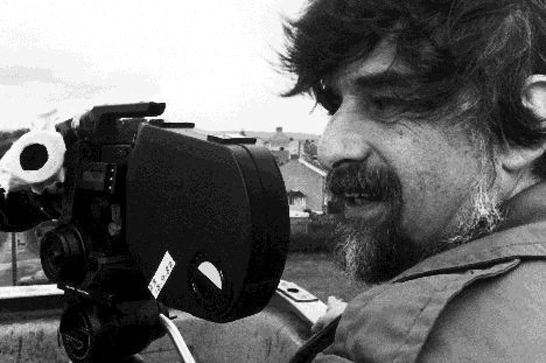 Described as one of the most significant unknown film-makers working in Britain during the past three decades, Karlin (1943 – 1999) was a central figure in the radical avant-garde of the 1970s and made a major contribution to the shaping of Channel 4. Newly digitised works are shown including Utopias (1989), For Memory (1986), and Between Times (1993) alongside a one-off screening of Nightcleaners (1975) on Saturday 15 June. Courtesy the Marc Karlin Archive. A documentary about the campaign to unionise the women who cleaned office blocks at night and who were being victimised and underpaid. Nightcleaners is increasingly recognised as a key work of the 1970s and an important precursor, in both subject matter and form, to political art practice. Courtesy LUX.